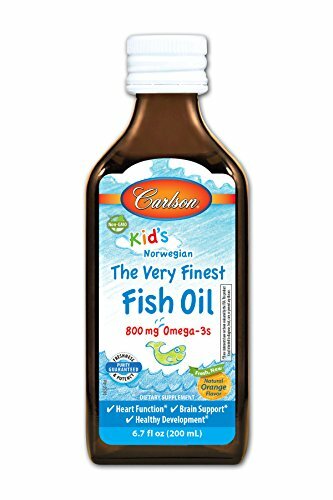 Carlson for Kids The Very Finest Fish Oil provides 800 mg of omega-3 fatty acids per 1/2 teaspoon in a delicious, award-winning orange flavor and is free of vitamins A and D, for children already receiving the recommended dosage. To ensure maximum freshness, Kid's The Very Finest Fish Oil is closely managed from sea to store. We source the highest quality, deep, cold water fish using traditional, sustainable methods. Our fish are then transported to a highly regulated facility for initial processing and purification. Air is removed from the bottle and a touch of vitamin E is added to prevent oxidation. Kid's The Very Finest Fish Oil is then delivered to us and tested by an FDA-registered laboratory for freshness, potency, and purity.